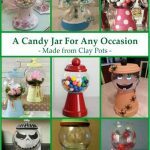 Why use decoupage clay pots? 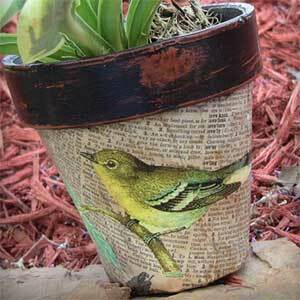 Well, decoupage is a relatively easy way to add an amazing vibrant effect to your pots. Its versatility allows you to add a vast array of color and intricate detail without needing to be amazing at art, or really have any ability in the area of fine art. Don’t get me wrong, I’m not suggesting that there is no skill involved. But a beginner can easily produce a decent completed project in a very short time. Where more experienced hands could produce a much more intricate design and be more adept at creating depth and using a variety of materials to produce their finished work. In short, Decoupage is an easy craft to get into, with a massive opportunity to gain more detailed skills over time. Decoupage in its simplest explanation is a technique of decorating surfaces with cut out images which are sealed in layers of varnish. Most often the images are cut or torn from paper, but can also be cut from card or materials. 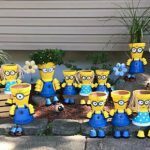 Decoupage is a vast and growing hobby and a such you will find that you can search for and find a vast array of tools, sealants, varnishes and images specifically being marketed for the subject. To be honest, though, you really don’t need to buy specifically produced items. 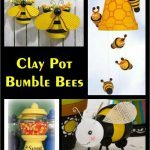 Decoupage clay pots projects can be as low cost as using items you already have. A clay/terracotta pot – an old one from the garden will do for a beginning. Even a broken one can create a lovely project. Sealant – You will need to seal your pot before you begin. Any sealant suitable for the surface you are working on. 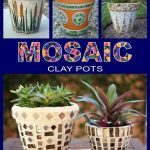 So for clay pots, you will need a sealant for clay pots, concrete or other porous, outdoor surface. 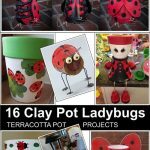 Images – any pictures you would like to add to your decoupage clay pots project. These can be a paper printout, a pretty napkin, a piece of fabric. Virtually anything that is flexible enough to be able to glue to your surface. Glue – this could be as simple as PVA as you will be sealing/varnishing the project afterwards. Varnish/Sealant – Can be high gloss, matt or silk finish. Or you can use coats of wax or other decorative finishes as long as it seals it tight. You may need brushes, sponges or cling film for help with applying the images and varnishes etc. 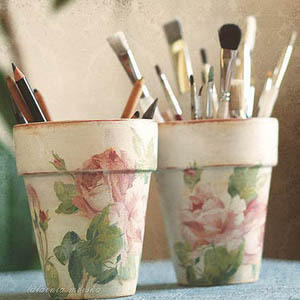 Before you begin to decoupage clay pots, you need to ensure that your pots are completely clean, dust and algae free. Soak your pots in warm water, no soap, for about half an hour. Give your pots a scrub if need, making sure you remove all dust, dirt and stickers. If you are re-using an old pot you may need to add a drop of bleach to kill off any algae. Rinse thoroughly and allow to dry completely. So, whilst you pot is drying. You can spend a bit of time deciding on your design. Are you covering the whole outside of the pot or having an image in the middle of a painted background. For an image on a plain background, you need to be a lot more careful when you are cutting your image out. Base coating for decoupage on clay pots is optional. You can just glue your image straight onto the pot. 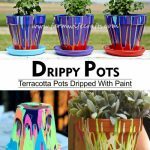 However, if you intend to use light colored paper napkins for instance on a terracotta pot your image will be dulled and the use of a white acrylic paint as a base coat could significantly improve the finish of your project. Alternatively, if you are using a centered image you may want a colored background in which case you would do all the background colors first and then add the decoupage. Allow drying completely before adding your images. Paint glue onto the surface of your project. Attach your first image layer and paint more glue over the surface of the image. Repeat until all images are fixed on. 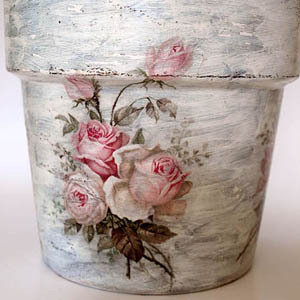 How you seal your decoupage clay pots will depend on your intended use of the pots. For instance, if you are going to use it to hold pens and pencils, sat in a dry room on your desk, then the use of PVA or Modge Podge glue will probably do the trick. However, if you intend to add soil to the pot, you will need to ensure that you have used a good quality clear varnish both inside and out, leaving no gaps. As moisture from the soil will absorb through the pot and onto your design and it won’t last very long. 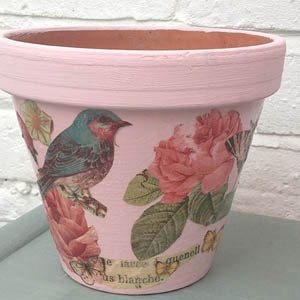 Equally, if your decoupage clay pot project is to be left outside in the weather then you need to use a good outside, weatherproof sealant. 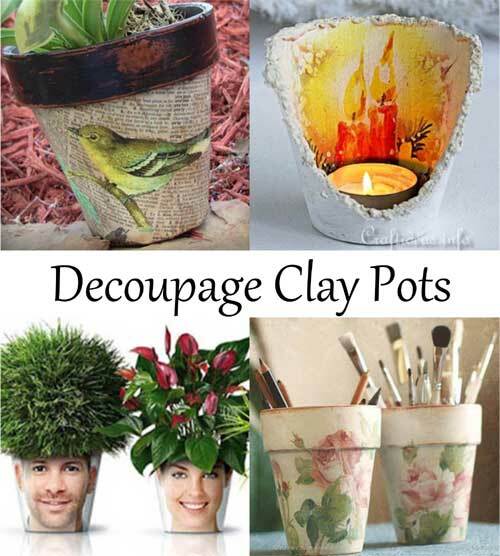 Now that you have an idea of how to decoupage clay pots, it’s time for you to give it a try. Lovely little bird and roses image. Decoupaged on a pink background. Even broken pots are useful. 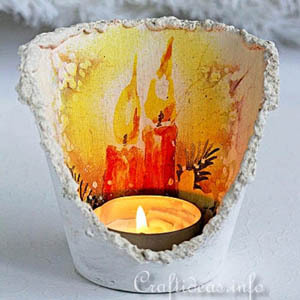 The decoupage on the inside is just perfect for a tea light. Have some fun with those family photos. 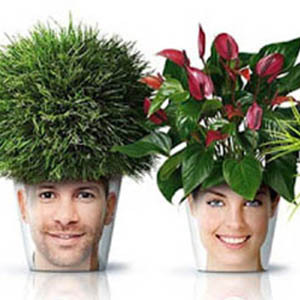 Plant pots aren’t just for the flowers.